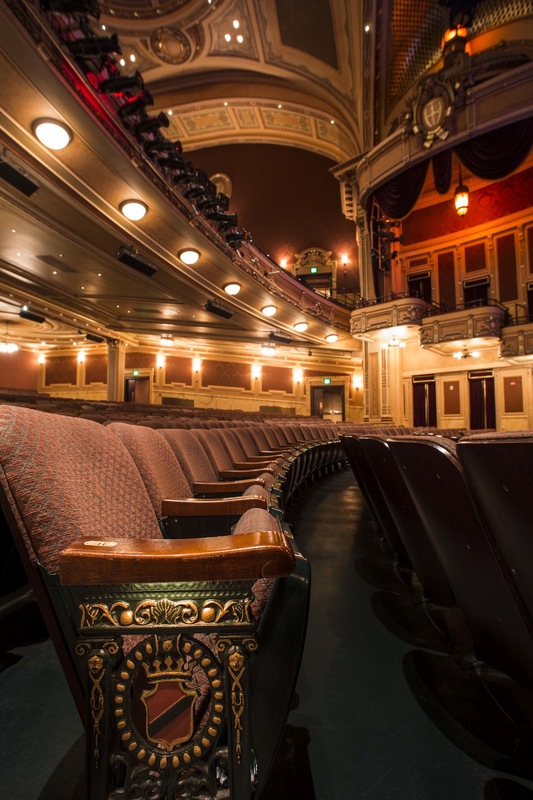 The legendary Hippodrome Theatre was designed by noted theatre architect Thomas Lamb for exhibitors Pearce and Scheck. It was constructed on the site of the old Eutaw House, a luxury hotel built in 1835. The Hippodrome Theatre opened on November 23, 1914 as a movie palace that also showcased vaudeville performances. The theatre seated 3,000 and in 1920 the average weekly attendance was 30,000. Sound for the movies was provided by piano, a Moller organ commissioned for the theatre, and an orchestra. The Hippodrome Theatre was part of the Loew's Theatre chain from 1917 until 1924, when it became part of the Keith chain. New management in 1931 installed a huge new marquee and other facelift items such as new seats. In 1931 the Hippodrome had 3 price levels - 25 cents before noon, 35 cents between noon and 6pm, and 50 cents after 6pm. Under the management of Isidor M. Rappaport, which began in 1931, the Hippodrome Theatre gained a reputation as a top vaudeville house, presenting such notables as Bob Hope, Jack Benny, Red Skelton, Benny Goodman and his orchestra, Dinah Shore, Martha Raye, Milton Berle, the Andrews Sisters and Morey Amsterdam during Rappaport’s 30-year tenure. It was in The Hippodrome that Frank Sinatra first appeared with the Tommy Dorsey Orchestra and in 1939 with Harry James’ band. Movies were combined with vaudeville entertainment through 1950. The Hippodrome Theatre was one of the first stages to present Vaudeville and motion pictures and maintained a house orchestra at the theatre well into the 1950's. Business remained strong from the 1930’s through the 1950’s with the last stage shows presented around 1959. Another major renovation occurred in 1963 in preparation for the regional premiere of “Cleopatra”. In 1969 the Hippodrome Theatre was the site of the world premiere of “Slaves.” Business dropped off during the 70’s and 80’s, and the Hippodrome Theatre closed in 1990, when it was the last operating movie theatre in downtown Baltimore. The curtain rose again in 2004 on the Hippodrome Theatre at The France-Merrick Performing Arts Center. This was the culmination of a construction and restoration project that transformed and combined three significant historic buildings and one newly constructed building into a state-of-the-art showcase. These landmarks are the Western National Bank (built in 1887), the Eutaw Savings Bank (built in 1888), the Hippodrome Theatre, and a new building at the corner of Baltimore and Eutaw Streets. 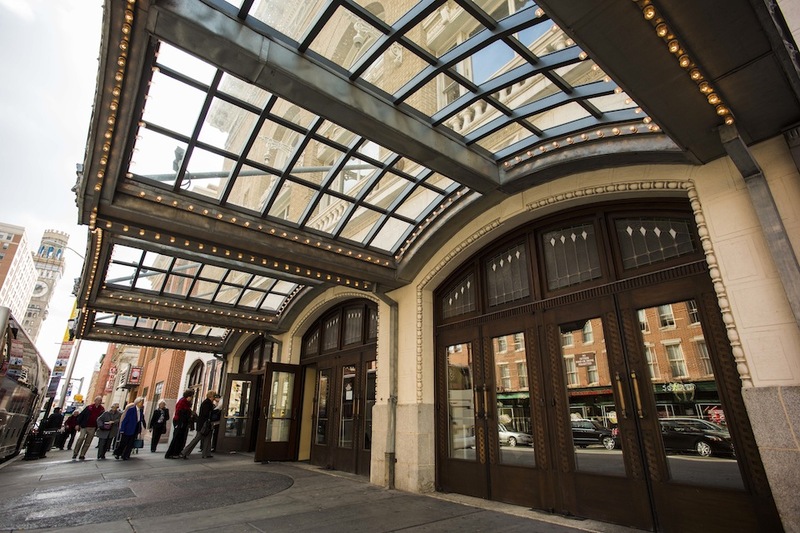 Programming at this world-class venue includes touring Broadway shows, dance, music, comedy and all the best artists throughout the performing arts.